Want a new TV without dealing with Black Friday crowds? 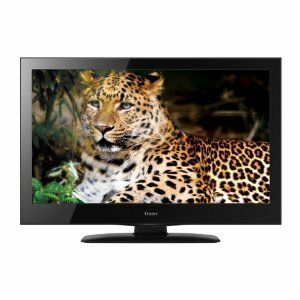 Hurry over to Amazon and pick up the Haier 32-Inch 720p LCD HDTV for just $199 with free shipping. That's 43% off the regular price of $350! I've been watching, and this TV has been in-stock then out again on and off for the past several days. I'm not sure when the price will flip up again, so be sure to jump on this deal if you have a TV on your shopping list! The reviews on this TV are great, and Amazon has an especially good return policy for TV purchases! That is a great deal, I want a smaller flat screen for my bedroom! I want one for my bedroom!